"Wala naman na ako sa age para mag-enjoy enjoy lang." Miss Universe 2015 Pia Wurtzbach had this to say when asked about her plans of getting married to boyfriend Marlon Stockinger. The 28-year-old beauty queen/actress isn't ruling out settling down but it's definitely something she needs to think deeply about and discuss with Marlon. 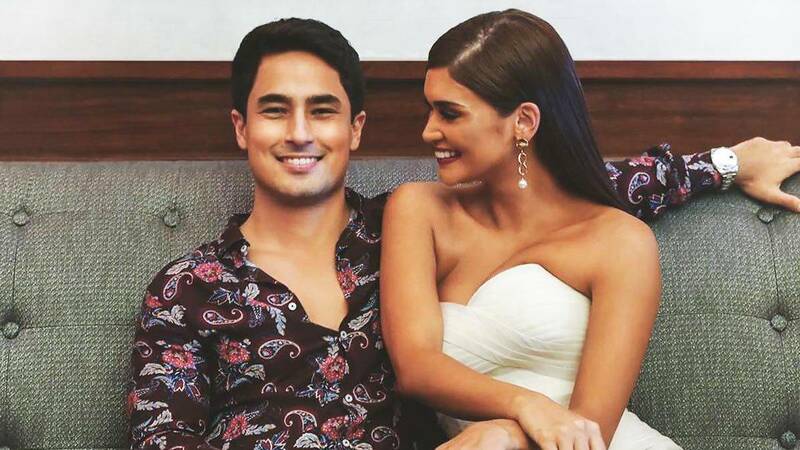 In a joint interview on Magandang Buhay, Pia and Marlon, who've been together for one year, both expressed their thoughts on the possibility of marrying each other. Pia said, "I'm looking for somebody that I can possibly, potentially have a future with. It's definitely not happening anytime soon, but we've talked about that. I think that's normal na rin naman." She adds that she is not the type that would get in a relationship without looking at the long term. Marlon jumped in saying, "I think if you want to have the fairytale ending, you should always focus on the story you're writing right now or today. I think 'yun ang mas important talaga." When asked about the current state of their relationship, Marlon shared how lucky he is in finding a best friend in Pia. Pia, on her part, expressed how thankful she is for Marlon accepting her quirks as a girlfriend. She shared, "Aamin ako, mahirap ako maging girlfriend kasi selosa ako tapos emotional pero siya sobrang cool lang niya. Kayang kaya niya 'yung energy ko. Sobrang kaya niya. Alam niya na kung ano man ang mangyari, kilala niya 'yung real Pia. Ewan ko kung paano niya nagagawa pero sobrang thank you talaga."